Obviously Roger Goodell hasn’t done enough to deter NFL players from getting in trouble with the law. 2012 has seen its share of arrests and I don’t see any slowing down in the trend, actually I see an increase. What should the commissioner do? Can he do more? Should each case be treated different or should there be a set ladder of progressive discipline? How about a little of both? Here is a list of some of the players that have been arrested this year (2012) and their crimes. – Mikel Leshour- Lions- Marijuana possession not once but twice in a less than 2 months. – Aaron Berry – Lions- DUI and then a month later 3 counts of simple assault. Now, that is not each and every guy but it’s a solid list and it will give you a good idea as to what is happening in the NFL. Why so many some may ask, well it’s a very simple answer for me to give. You have young men that are paid very well and most came from nothing, they feel untouchable and above the law. They have a short amount of time celebrate and enjoy their off season; much like a binge drinker they just over do it in a very short amount of time. The fines are nothing to them. What’s a few hundred dollars to a guy that makes a few thousand per game? But the question remains; how do you fix it? You can’t treat them all the same can you? You need to make them fear the consequences of their actions, you make them want to always do the right thing and give them a crutch in emergencies. Here is how I would attack this issue. DUI/DWI: There is absolutely no reason any NFL player should get behind the wheel of a vehicle if they are intoxicated or under the influence of drugs or alcohol. Taxi cabs, Limo Services, coaches and team personnel should be readily available for the players to use. If a player chooses not use these tools they will be fined $75,000 for the 1st offense and suspension up to a full season on the 2nd offense. After each offense the player will be responsible for giving 10 public speeches on the dangers of DUI/DWI to high school and colleges in their area. This is not a victimless crime; lives are at stake, innocent lives. Possession of Marijuana/Illegal substances: Why does a professional athlete need to carry narcotics? They don’t, so don’t do it. It’s simple, if you get caught for something that is not only illegal in the NFL but in the U.S. as well, you will pay dearly. You will be fined $100,000 and be suspended for 8 consecutive games on your 1st offense and a full season suspension for the 2nd offense. Assault: You are a professional football player and unless you are punter or kicker you are above average in size and strength so fighting is conduct unbecoming of and NFL player. Assault charges will be handled on a case by case basis depending on the surrounding circumstances. However, if the assault is on a female you will face a full season suspension without pay. Players will volunteer at battered women’s shelter for one month of their offseason, as well as have mandatory anger management sessions for one year. I’m sure there are other crimes committed, but looking at the year 2012 it looks like these are the main ones. Fast, Just and Painful is the only way to treat these guys. Yes there will be cases in which a player is falsely accused and that’s why we have a judicial system. Once the player is found guilty is when the punishment will be handed down. Will this fix all the problems? Probably not but I promise you it will lower the amount arrests greatly. These forms of punishment will set an example to all current and soon to be players. 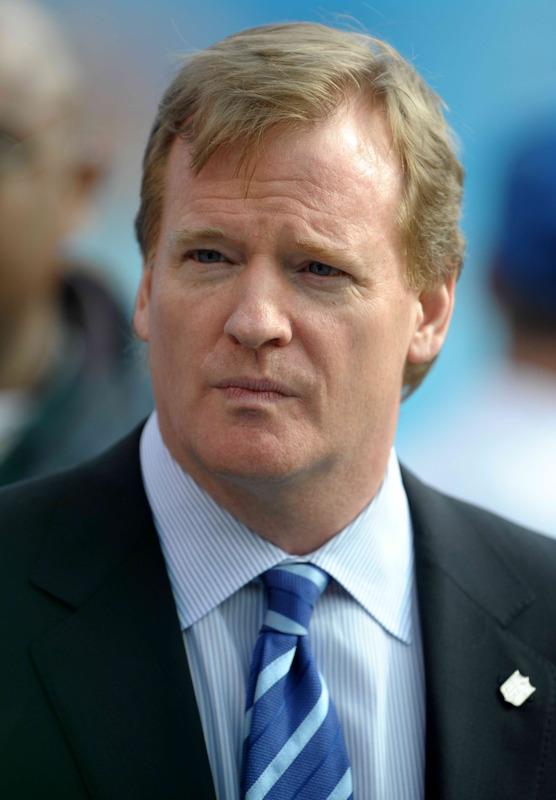 Some think Roger Goodell is strict and power hungry, I say he is not doing enough to protect the players, the League or the general public. Luckily, not many people have been hurt due to the reckless and immature behavior of these players, but ask Donte` Stallworth how he feels knowing he killed a man while being drunk. Ask Dez Bryant’s mom how it feels to be hit by a pro football player and ask yourself if you can support a player that is hell bent on ruining his life and the lives of those he dangers. THE OTHER SIDE OF SPORTS OR…HAVE YOU EVER SEEN A MISPELLED WORD ON RADIO?